CARNEVALE is inspired by the numerous festivals, which grace the small villages and towns of Italy, throughout summer. The grandest of them all, Venice’s CARNEVALE, was born in 1162, and is heralded as one of Europe’s greatest celebrations of art, food and culture. 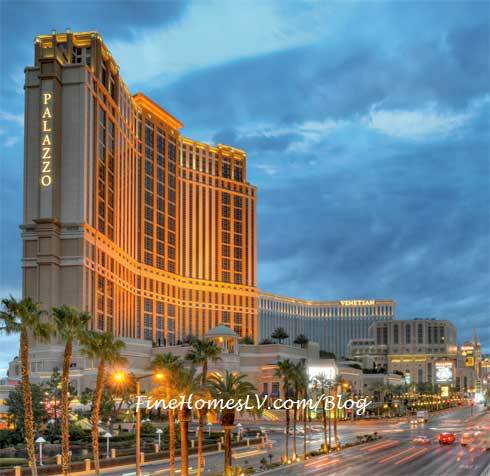 In that tradition, wonder and revelry will surround guests at The Venetian and The Palazzo resorts, with activities that center around entertainment, art, fashion, games, sports, music and wine. From visual spectacles to themed characters and unexpected surprises around every corner, guests will be wrapped up in the pageantry that is CARNEVALE. The “Passaporto di CARNEVALE ” will be included with overnight stays throughout CARNEVALE featuring special discounts and entertainment specials valued at more than $1,000, including retail offers from resort restaurants, spa and The Grand Canal Shoppes. The Passaporto is an exclusive benefit to resort guests. During CARNEVALE, members of Grazie, The Venetian and The Palazzo’s premier loyalty program, can continue to earn valued Status Points with all suite charges by linking a Grazie account to suite reservations. Guests visiting during CARNEVALE will enjoy a calendar of special events, activities and promotions, including nightly entertainment spectacles. Ciao Bella! The Carnevale Welcome Reception: Join us for a nightly reception in your honor featuring live music, character photo ops, mixology lessons and other surprises! The Masquerade – A Cavalcade of Carnevalean Characters: Join in the fun as our nightly show unfolds, with our elaborately costumed masked characters, celebrating the romance, mystery and artistry of the historic Venice festival. Cocktails Unmasked – A Summer of Mixology at The Venetian: Your nightly opportunity to try something new! Every week, we will spotlight a new spirit, and will present a new mixed drink every night for guests to try. (Guests staying at the resort will receive drink coupons at check in). Light of Venice – A 3D Light Projection Fantasy: The façade of The Venetian is the canvas for a 3D fantasy of light and music, featuring state-of-the-art digital mapping technology. Veni, Vidi, Vino – The Carnevale Wine Walk – If every time you drink red wine, you end up getting a cab… this is the activity for you! This is your chance to stop and smell the rosé! 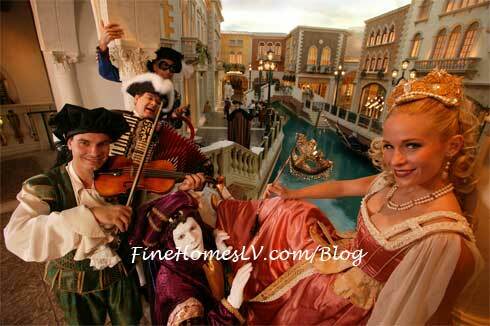 Grab a map and explore the best “by the glass” Italian wines of The Venetian and The Palazzo. The Neon Olympiad – Party Like it’s 1988! – Join our VJ at the Bourbon Room every night, to participate in an ‘80s-inspired party. Participate and you can win Carnevale prizes. Dance Through the Decades – ‘60s, ‘70s, and ‘80s live on stage! – Nowhere on the planet can you enjoy the best music of the ‘60s, ‘70s, and ‘80s through live musical theater… in one place! Enjoy smooth harmonies of ‘60s Motown in HUMAN NATURE, the groovy tunes of the ‘70s in PRISCILLA QUEEN OF THE DESERT THE MUSICAL, and the anthems of the ‘80s in ROCK OF AGES LAS VEGAS. National Geographic 50 Greatest Photos: The Venetian Imagine Gallery features a special exhibition with the story behind the 50 greatest photos from the photographers of National Geographic. As a special bonus for Carnevale, the gallery will feature a photo display of photos from Venice’s Carnevale, taken by photographers of the prestigious magazine. Sushi Fever Fridays: Join the chefs of Sushi Samba as they demonstrate how to make sushi. Later Friday night, stop by the restaurant for SUSHI SAMBA & SAKE, a special late-night event from 10pm until 2am. World’s Largest Bachelorette Party Weekend (July 19-21) This summer, TAO Group is calling on all Bachelorettes to attend what promises to be the World’s Largest Bachelorette Party taking place in Las Vegas at TAO®, LAVO® and TAO BEACH in The Venetian and The Palazzo. Hundreds of brides to be and their friends will be celebrating their nuptials with one last wild weekend in Vegas!